The 3,192-acre Elk State Park is in the rugged mountains of northern Pennsylvania. The 1,160-acre East Branch Lake is large enough for unlimited horsepower boating and is great for waterskiing. The lake and nearby streams are stocked with warmwater and coldwater fish. Contact the Kinzua Bridge State Park office for facility seasons and hours. Elk State Park is about eight miles east of Wilcox on SR 1006 and about nine miles south of Clermont on SR 1001. Swimming is prohibited in the lake. 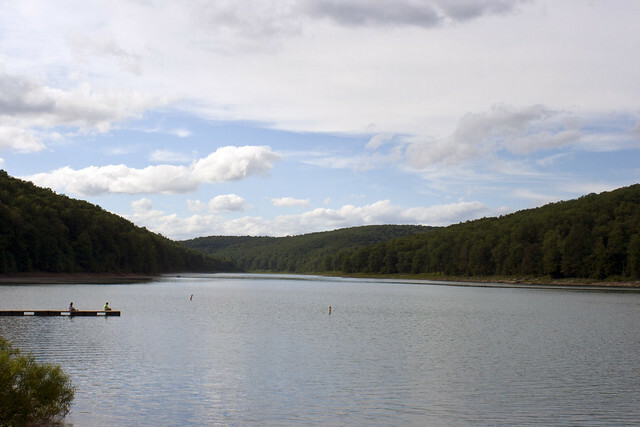 A swimming pool is available at Bendigo State Park, about 13 miles away on PA 1004.